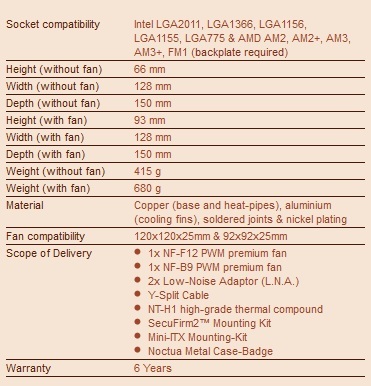 Today, Noctua announced the latest addition to their family of cooling products, the NH-L12. 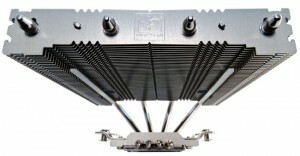 Having already produced several of the top air coolers on the market, Noctua shifted their attention to the growing HTPC market. 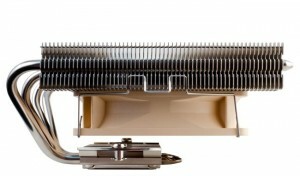 The NH-L12 is Noctua’s first low-profile heatsink focused specifically on SFF or HTPC systems. This is a market that lacks “suitable high-quality quiet CPU coolers”, according to Noctua’s CEO. 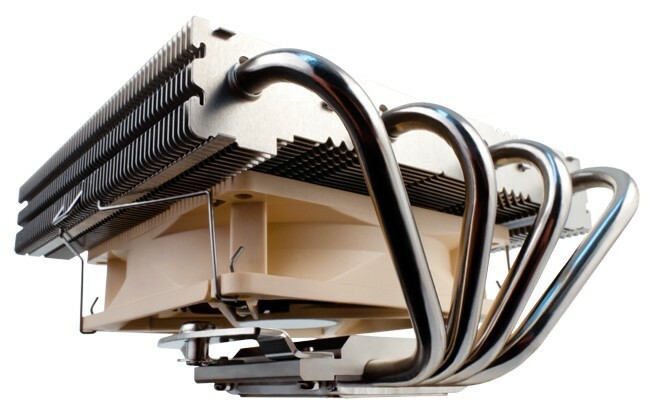 While there are several options out there, it never hurts when a top manufacturer like Noctua enters the space to create some healthy competition among the usual suspects like Thermalright and Cooler Master. Noctua’s enthusiast grade SecuFirm2™ multi-socket mounting provides broad socket compatibility (LGA 2011, LGA1366, LGA1156, LGA1155, LGA775, AM2, AM2+, AM3, AM3+, FM1) and meets the highest demands in safety, performance and ease-of-use. It’s tough to predict actual cooling performance of this unit, but judging by the $59.90 MSRP it should be one of the top low-profile coolers out there. The NH-L12 offers a lot of flexibility between the dual-fan setup, mini-ITX mounting kit and almost universal current generation compatibility. 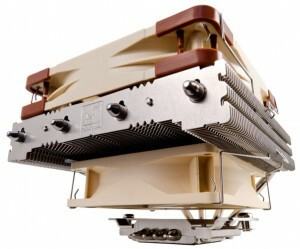 Not to mention, this heatsink comes equipped with high-quality fans, like the NF-F12 PWM that we looked at last week. My biggest peeve with HTPC’s is the lack of power, but maybe this will allow users to put a strong SB under the hood. Perhaps even a bit of an overclock? 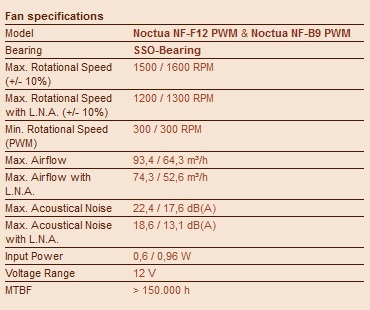 For more information check out the Noctua NH-L12 product page. Curious to see results though. Took me a few seconds to realize that the heatsink wasn't upside down in the pics. 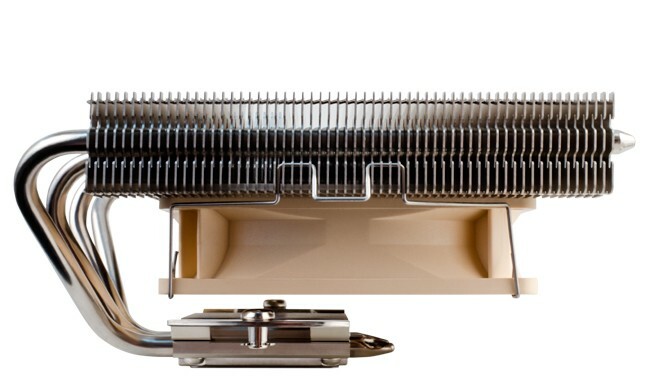 The biggest problem with this heatsink is that Noctua is late to market for HTPC heatsinks. Prolimatech has had the Samuel 17 out for a year or better and it's a lower profile cooler to boot. 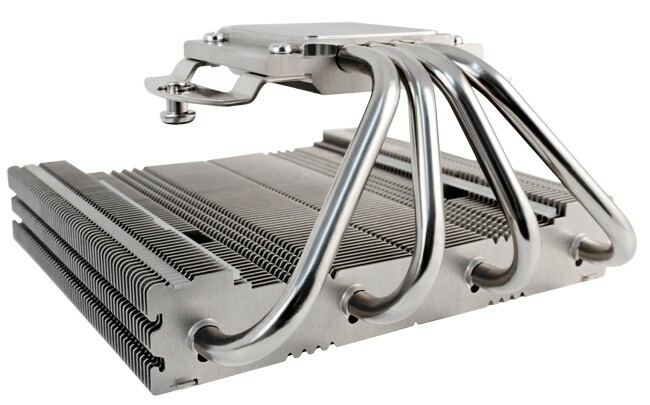 The Samuel 17 doesn't have room to mount a fan underneath, but it does have 6 heatpipes versus 4 on this heatsink. And Thermalright has had the AXP-140-RT out for quite a while too and it's height profile is very similar to this one. The Cooler Master GeminII S524 , if it isn't too tall sells around $30-35 and is equivalent to a Corsair A50 on most charts with stock fan. The Enermax T60 is reputedly louder than it should be and can infringe on memory slots. The Samuel is the lowest and good for its size.